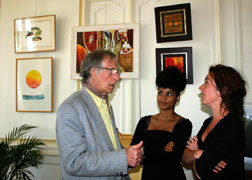 From march 15 to august 31, 14 artists members of Spered Kelt have shown their art-works in the drawing rooms of Kerminaouët castle. 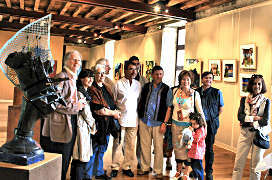 More than 60 pieces (painting, engraving, picture, textile design, calligraphy, sculpture) have been shared into the different rooms. 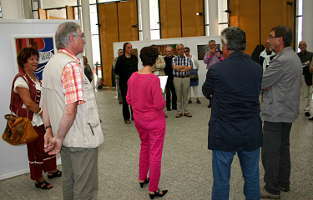 As part of the St Yves feast, this great exhibition was taking place in the Departement Council rooms from may 10 to may 30. 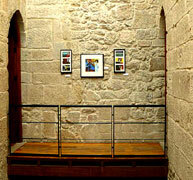 About one hundred art works adorned the walls. 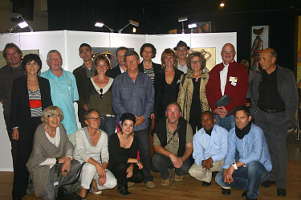 The diversity and the value of Spered Kelt artists were obviously underlined. 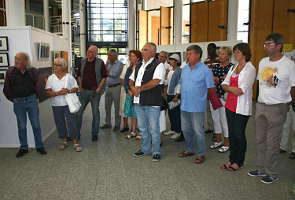 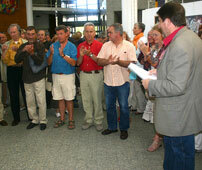 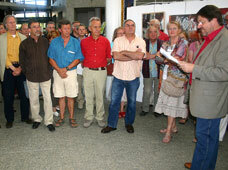 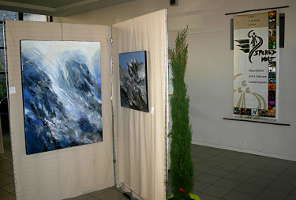 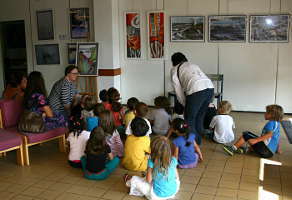 The exhibition was presented from july 23 to august 31 in the town hall and in the Rotonde gallery. 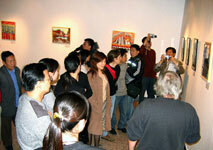 It consisted in 130 art works created by 16 artists and formed an impressive show of fine arts. 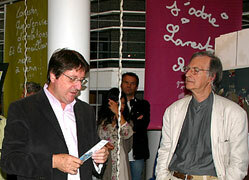 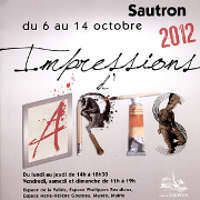 Paule Le Diore (painting artist) as "VIP Guest" and Gaël Morin (sculptor) as "Favorite" took part in this exhibition. 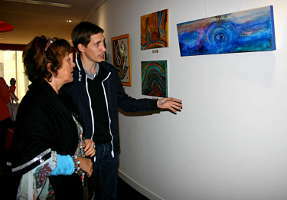 As every year, the artists of Spered Kelt have presented their latest creations in the town hall of Lanester. 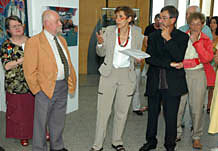 Their identity approach is based on exchange and dialogue in order to promote a new cultural dimension of modern Brittany. 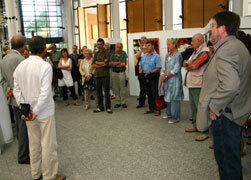 Since the end of July, 130 artworks are installed in the town hall. 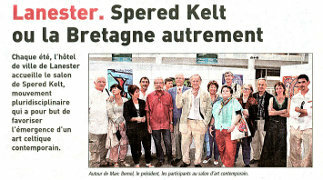 From 5th June to 3rd July, the Breton art association Spered Kelt (Contemporary Celtic Art) has an exhibition in Düsseldorf (Germany). 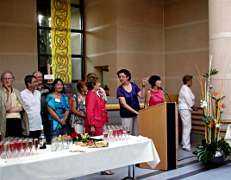 It takes place in the Citizen House and town Cultural Centre Bürgerhaus Reisholz, in the southern town district. 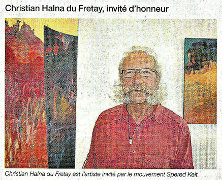 As a painter and an engraver living in Düsseldorf, Hans Binn gave an interesting talk about our Breton history and culture from the origin to nowadays and about the impact of the "Celtic Spirit" on the Contemporary World Art. 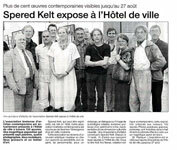 As a rule since several years, the Breton Cultural Agency of Loire Atlantique has invited Spered Kelt for an exhibition during the International Fair of Nantes. 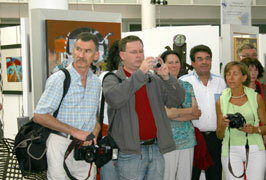 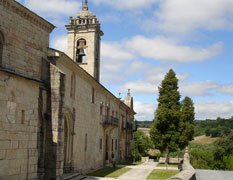 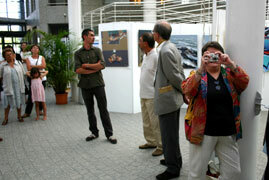 Many visitors could discover the artistic works presented by the association. 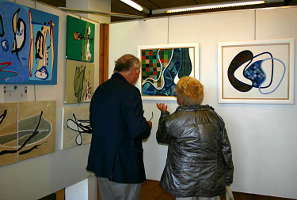 Contemporary Celtic Art comes again in the spotlight in the town hall and in the Rotonde gallery. 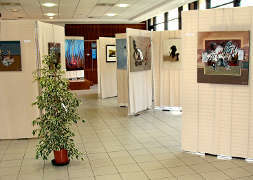 Until 23rd August, 13 of the 30 artists members of Spered Kelt show 120 original works inspired by our country roots and far away from any folklore. 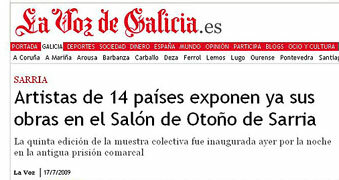 During the month of June, Spered Kelt, a Breton association of contemporary artists, is the guest of the Deputation of Pontevedra in Galicia. 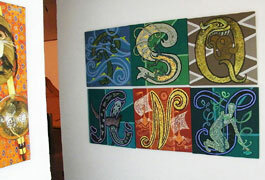 The artists members have in common to work for the emergence of a Contemporary Celtic Creation. 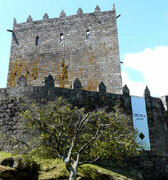 The exhibition of more than one hundred works was installed in Soutomaior castle, a XIIth century castle renovated and transformed into a cultural centre. 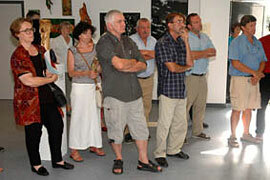 This exhibition of Celtic creation is in place for the sixth consecutive year in the country of Lorient. 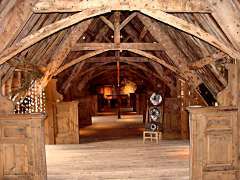 A wide range of contemporary Celtic creation is presented by Spered Kelt association. 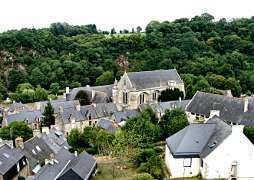 "The Celtic Congress comes back every 6 years in Brittany after annual stages in the other Celtic languages speaking countries. 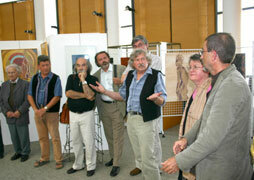 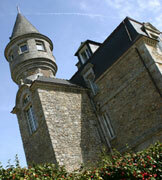 August 2006, Carhaix, Central Brittany, will greet the event on the theme of Celtic influence in the visual arts." 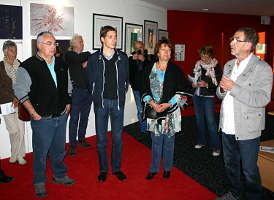 After two years at the Chamber of Commerce of Lorient, the association Spered Kelt has installed its exhibition in Lanester. 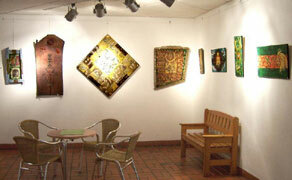 It presents a large variety of Contemporary Celtic Creation, such as engraving, painting, photography and sculpture. 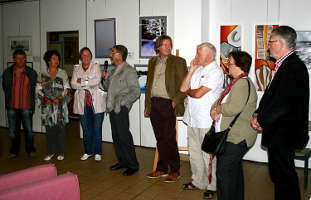 Until 27th August, an exhibition of Contemporary Celtic Art. 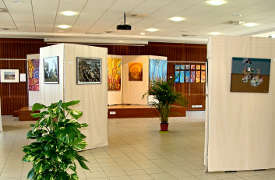 can be seen in the town hall. 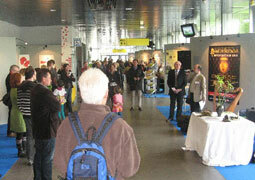 An initiative of the association Spered Kelt, in order to show wealth creation in this area. 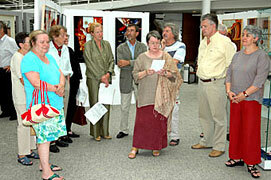 Organized by the “Agence Culturelle de Bretagne”, supported by the “Conseil Régional de Bretagne”, this exhibition was shown at Jinan and Rizhao, in Shandong province (People's Republic of China), under the 20th anniversary of the signing of the agreement cooperation between Brittany and the Province of Shandong. 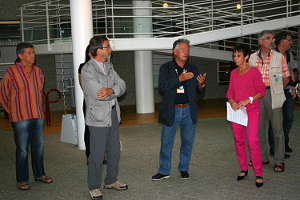 During the International Fair of Nantes, the first Cultural Area of Brittany opened. 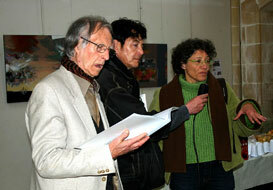 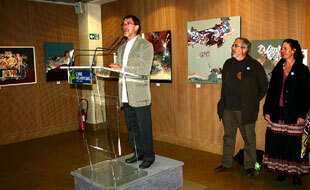 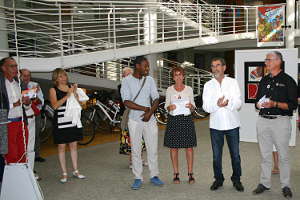 The “Festival de la Parole poétique” invited Spered Kelt to present a visual art exhibition. 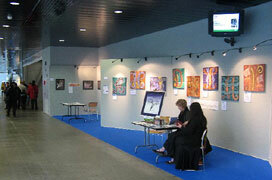 A really well made one was settled in the Cultural Centre hall where the festival took place.